There is naturally plenty of passion in the early stages of being newlyweds. The exciting first few months of marriage is when the romance is at its peak and where moments are rich and textured and filled with mystery, wonder and love. Something that also comes at this time are the dreams of the future, with the need for a home to begin a new life together becoming an important consideration. Finding a place suitable to current and future needs is always a challenge for newlyweds since issues of budget and time seem to be at their most stringent. The following Ideabook is a revelation into the lives of a pair of newlyweds who channelled their love and passion into a big DIY project. They've managed to do the impossible; transform an ageing and dilapidated flat into something perfect for themselves. 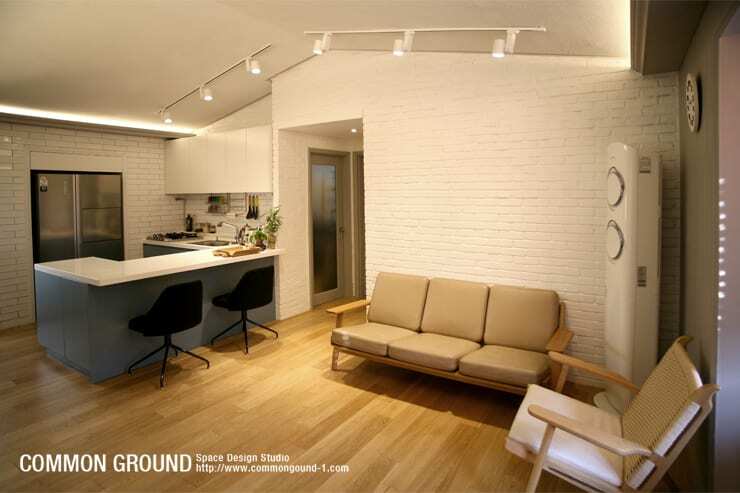 In South Korea it is common for newlyweds to buy older flats rather than buying a new home off the plan. These older homes can often be picked up on the cheap if one is willing to put in some hard work. The former owners of this flat were an elderly couple who hadn't invested much in terms of renovation for a number of years. As a result, the newlyweds inherited a home that was in dire need of some TLC. 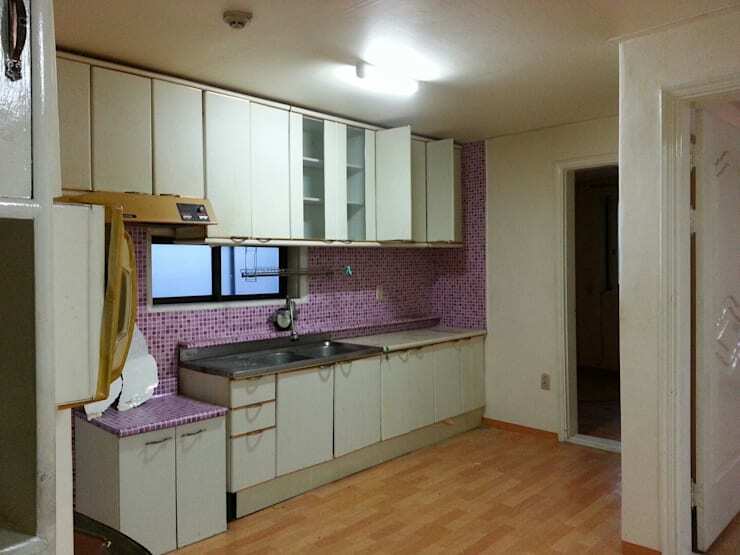 With that all being said, it is hard to imagine a kitchen that is uglier than the one in the picture. Try as we might, we can't think of anything positive about the kitchen except that it looks like a straight forward demolition job. Look at the new kitchen and living space created by the newlyweds after a few months of getting their hands dirty. The new look interiors are light and fresh and obviously look and function so much better than they did before. Timber and soft fabrics take the lead in the décor as we see the materials used as much as possible within the space. The white walls provide a blank canvas for photos and artwork to fill the space over time. The kitchen has been completely remodelled to be a more modern concept. Work surfaces run along two and a half sides of the space, enclosing those cooking within a setting that's totally equipped for a passionate chef. A pair of stools can be found beside the bar to ensure those cooking are not slugging it out alone. Generally speaking, blue isn't the first choice of colour for a kitchen but we can see it works well in his context. 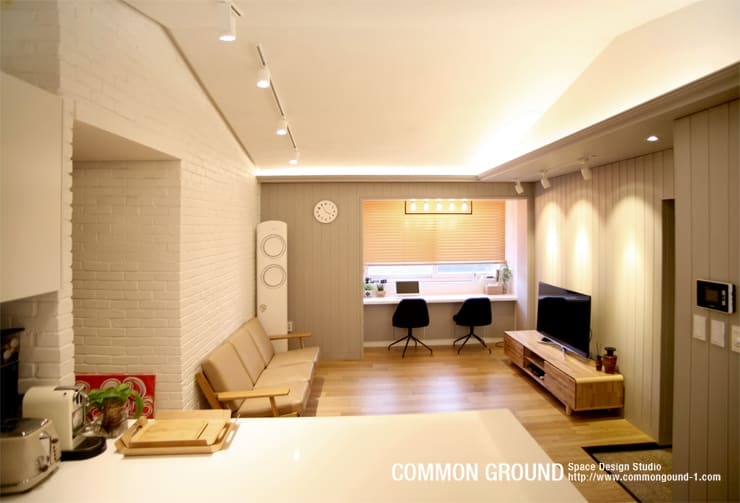 From this perspective we can gain a better understanding of the flat's layout. The home doesn't boast an endless floor plan but we can see that the newlyweds have used the space they have in an optimal way. The living room is kept simple and to the point as we can see this is a space to retreat to after dinner in the evening. 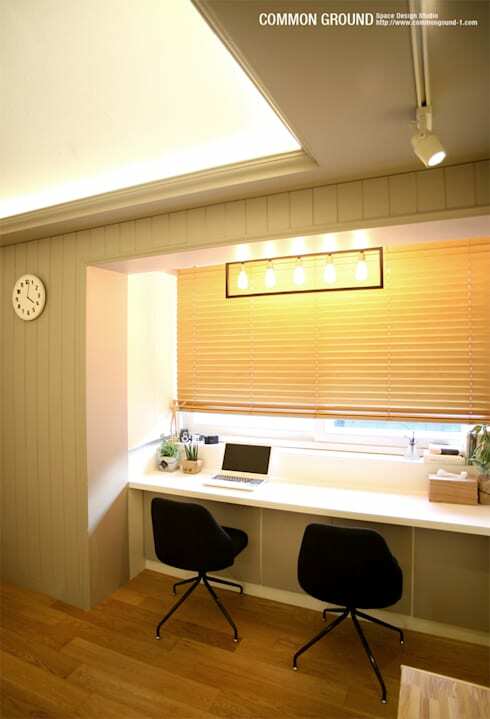 A work area has been set up by the window so that any lingering tasks can be completed without hassle. This is the an image of the space where the office is today. 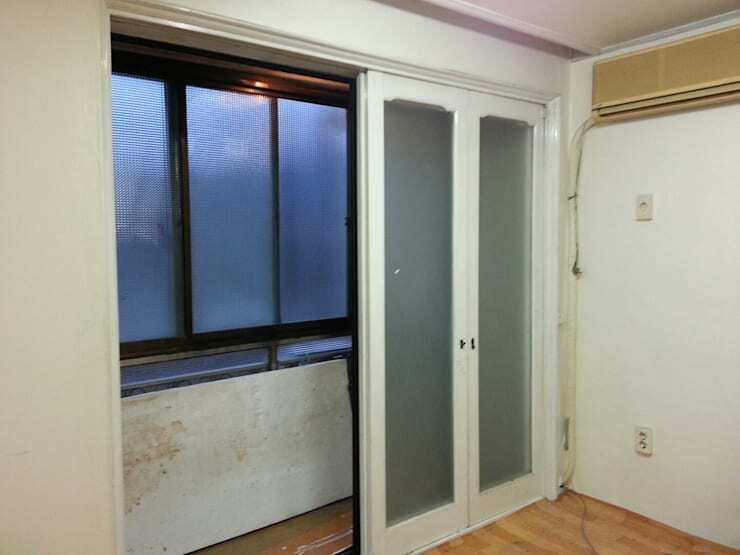 Perhaps this is an oddity of Korean flats because we're not exactly sure what purpose this space served and why there were glass doors placed where they are. What is obvious is that this space was both very impractical and a genuine eyesore. Working from home is an unfortunate aspect of modern life. However, even when work is unavoidable for one of the couple, we're sure it could be worse considering how attractive this work area is. Sunshine brightens the surfaces and there are views out to the city, which can be embraced once the blinds are raised. Potted succulents are present on the desk to bring a touch of nature to the space. 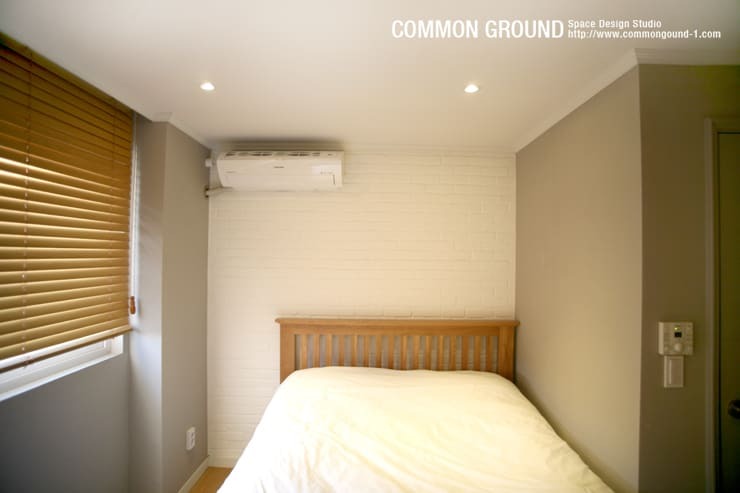 Things have been kept simple and relaxed inside the master bedroom. At this point in time the room remains relatively bare since the budget was tight but we can imagine the couple bringing their own personality and flair to the room when the time is right. Just like the rest of the home, the bedroom is well lit, both artificially and via natural light that enters through the large window. Last but not least we are privileged to gain insight into the bathroom. 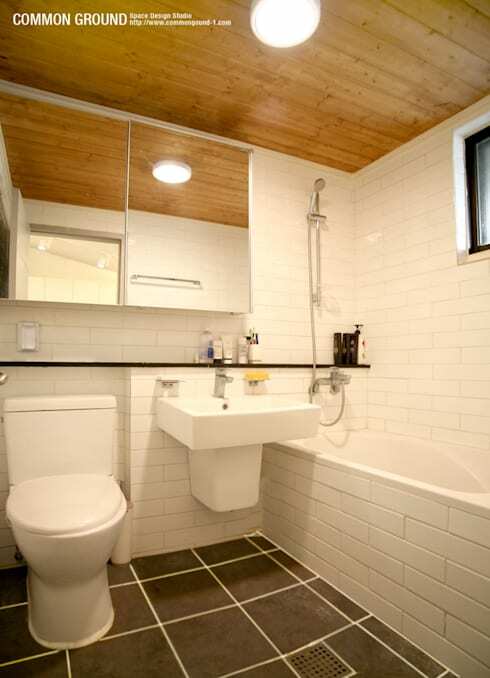 It's impressive how well the couple have managed to fit all the bathroom essentials within the small dimensions. 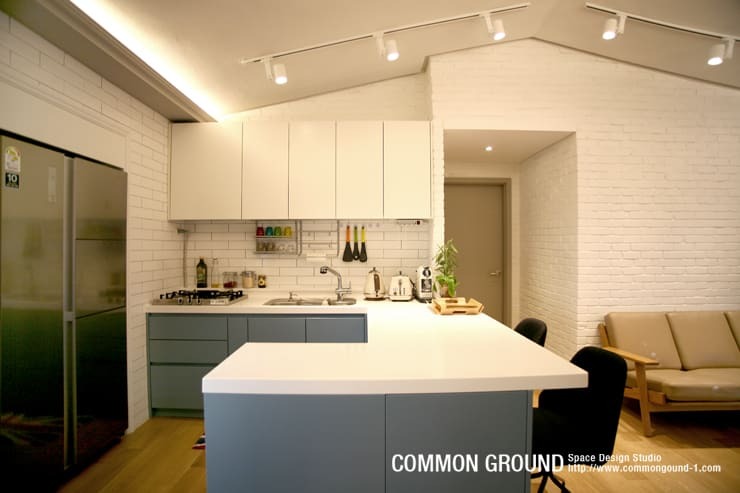 It should also be mentioned that the couple received much support and expert advice from the experts at Common Ground. In the mood to see another amazing flat? Then explore: The Tres Tres Chic Apartment. What did you find most inspiring about this project? Let us know by leaving a comment, below!